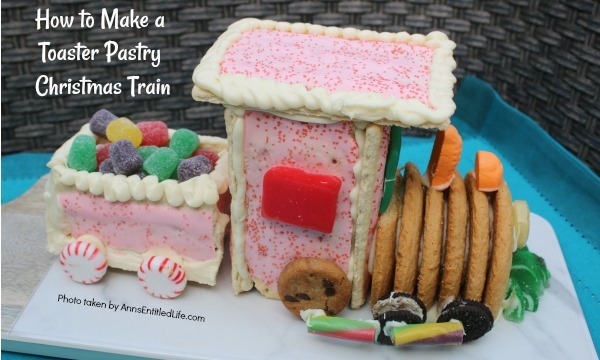 This eatable Christmas Train made with toaster pastries is a fun alternative to a gingerbread house. Use it as your table decor, and then eat it for dessert. 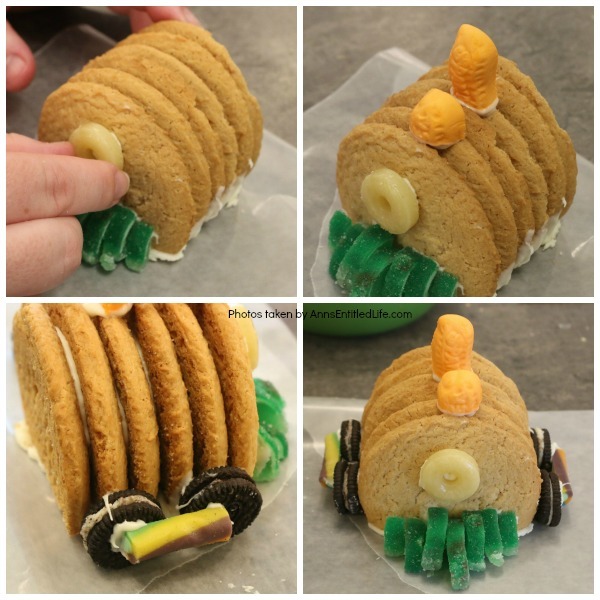 Follow these step-by-step tutorial instructions to learn how to assemble this adorable Christmas train. • Load your piping bag into a glass, pointy side down. Fold the edges over the glass. 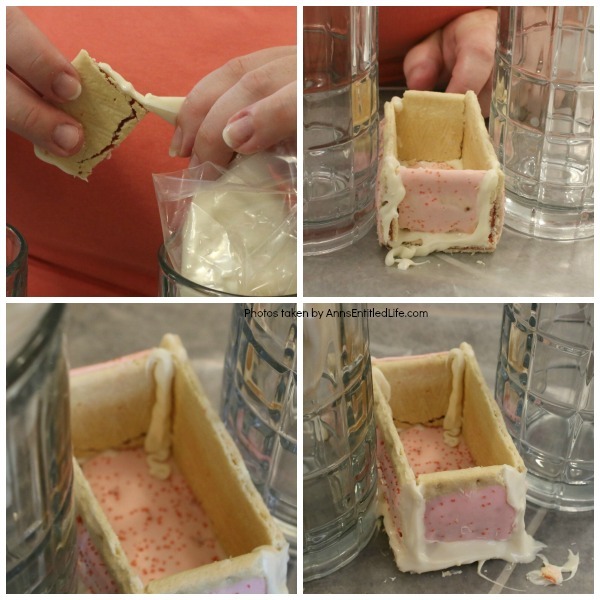 Now fill with your melted white chocolate via a spoon. 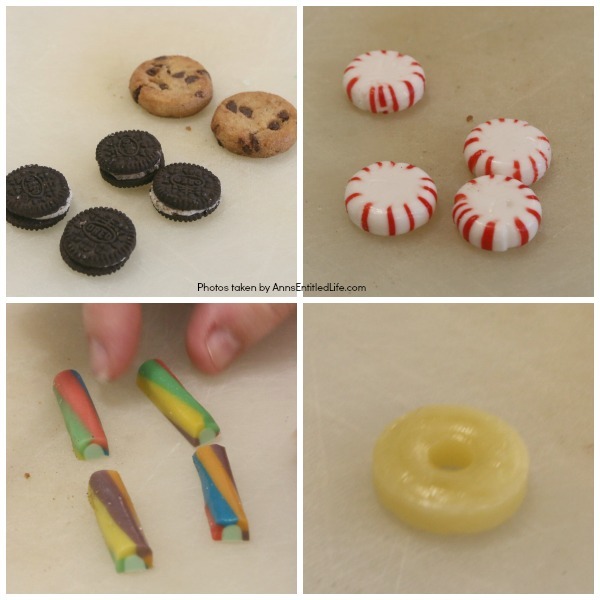 Snip the bottom (if using disposable), and you can use your candy piping bag to “candy glue” as well as to decorate. Remember, you cannot reheat candy in a piping bag, so work with small amounts! • We filled the coal car this with gumdrops. You could fill it with any type of candy you like including chocolates (black coal), raspberry gummies, or wrapped round candy. 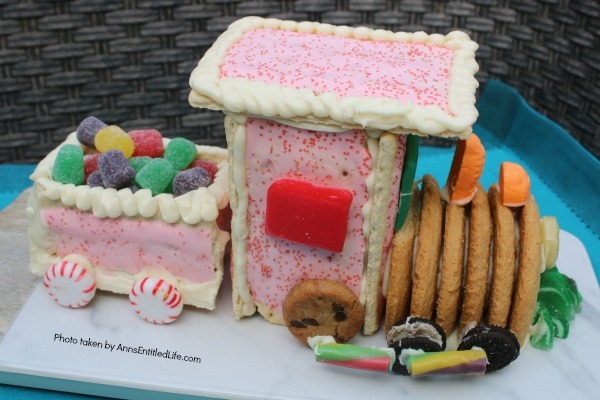 • You do not have to use the candies “we” (that is the royal we since my niece did 99% of this train… I was spare hands) did. 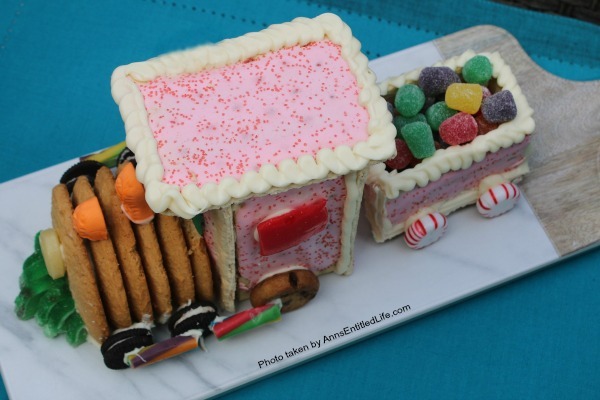 The biggest thing to remember when making this train is scale… do not let your candies get too large. • This was edged at the top with a piping. You could also edge the “windows” to match. 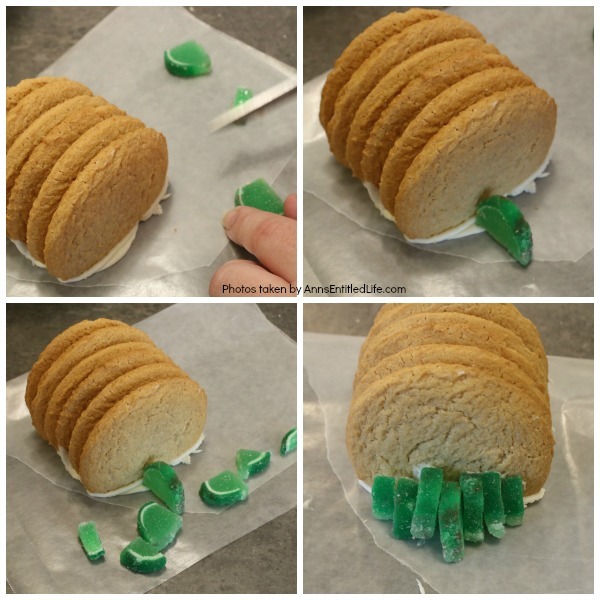 • If using edible glue or sprinkles, make sure to use a light hand and sprinkle on top of the edging while the candy is wet. • Whatever you do allow the chocolate to dry before moving on to the next section. 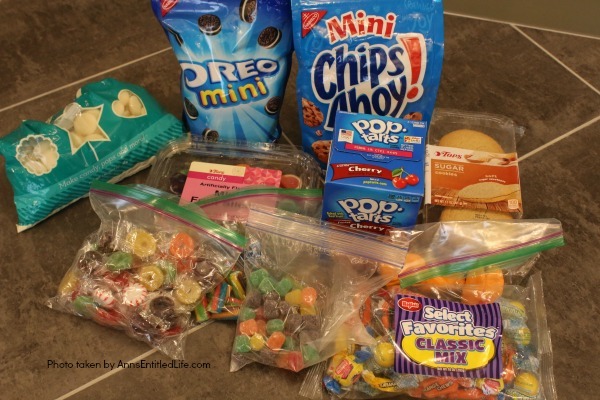 • To save time, do a section, candy-glue and then do the next part while the candy-glue is drying. • Make all your cuts first if possible. 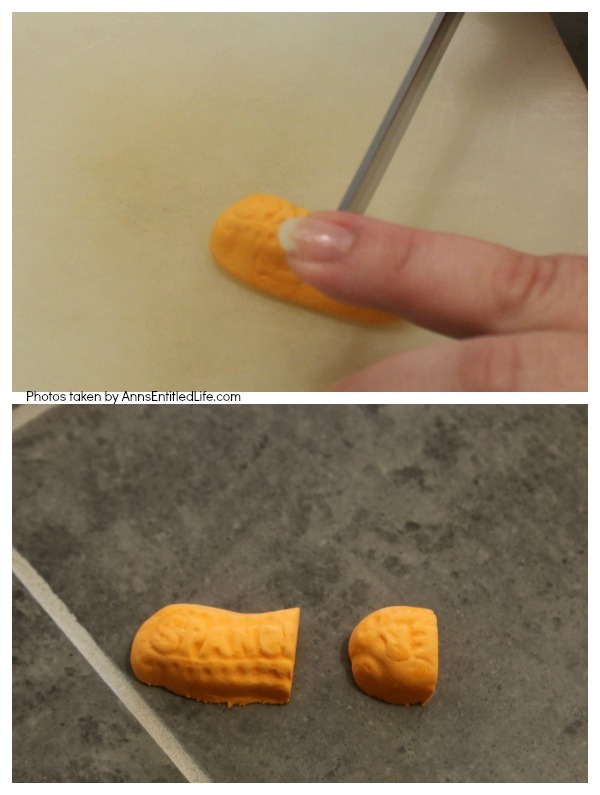 • Cut peanut into a 1/3-2/3 section. • Cut one mini airhead in half. If using a large airhead, cut 2 small windows (for the side of the train cab), and 1 large window (for the cab front window). • Cut mini fruit slices for the cow pusher. • 1 – leave the whole half. • 2 – cut ¾, ¼. • This is going to be assembled as: ¼, ½, ¾, full, ¾, ½, ¼. 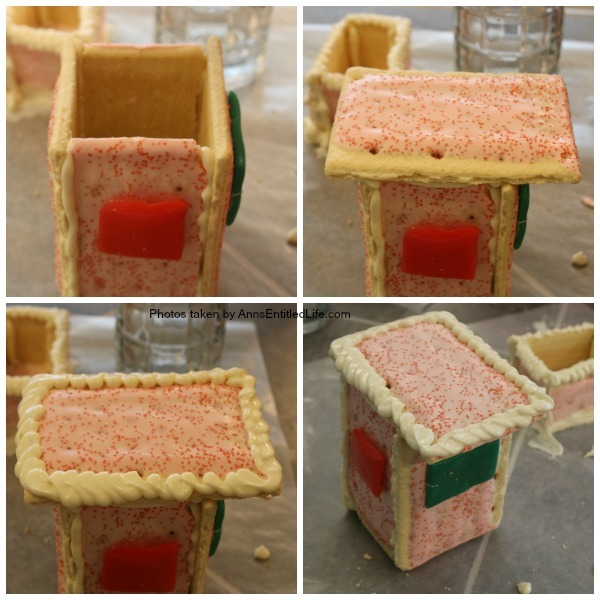 • Toaster pastry – leave 3 whole for the front, back, and roof. 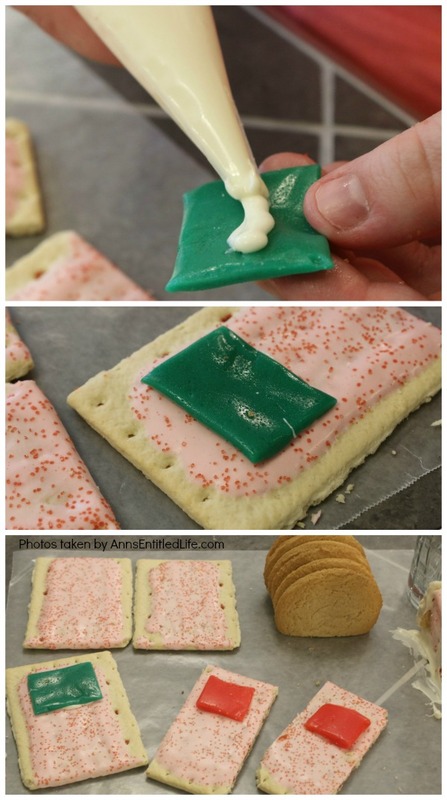 • #1 Trim one toaster pastry along the edges so you can see the filling inside. • #2 Trim short end of a second toaster pastry. Cut in half lengthwise. These are the tall walls of the cab. • #3 Trim long edges off a third toaster pastry. Match up the height of the “wall” from the first toaster pastry cut, turn the piece around and cut again. You want 2 long-ish pieces + 2 matching short pieces to form the coal car. 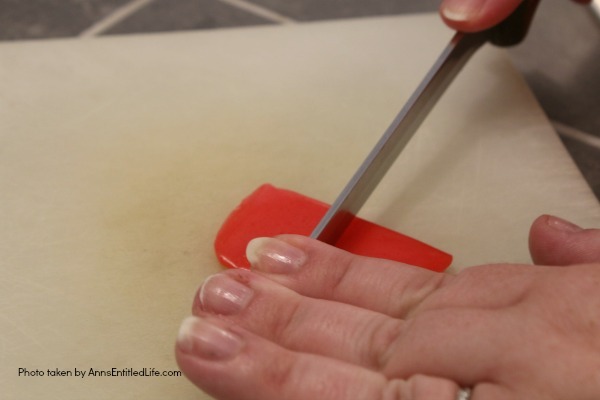 • You will be candy-gluing the cut edges, and they will not be visible. 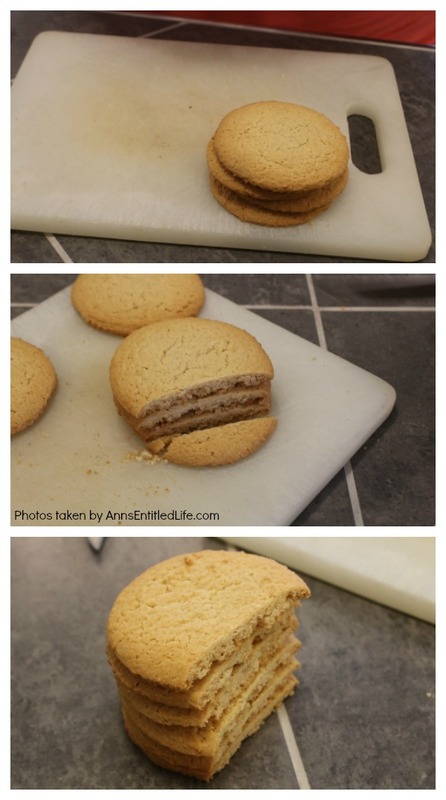 • Cut a small amount of cookie off of one plain sugar cookie to form a flat bottom. 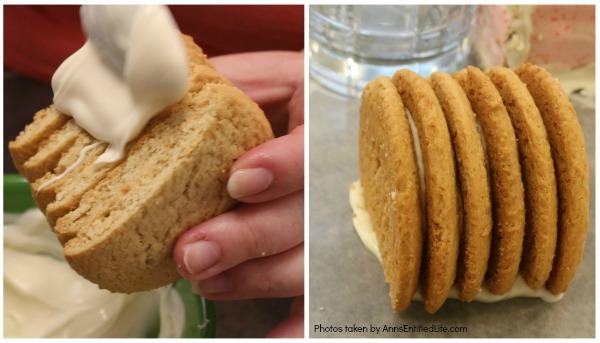 • Place a second cookie on top of that cut cookie, and cut off the same amount. Repeat for all remaining sugar cookies. 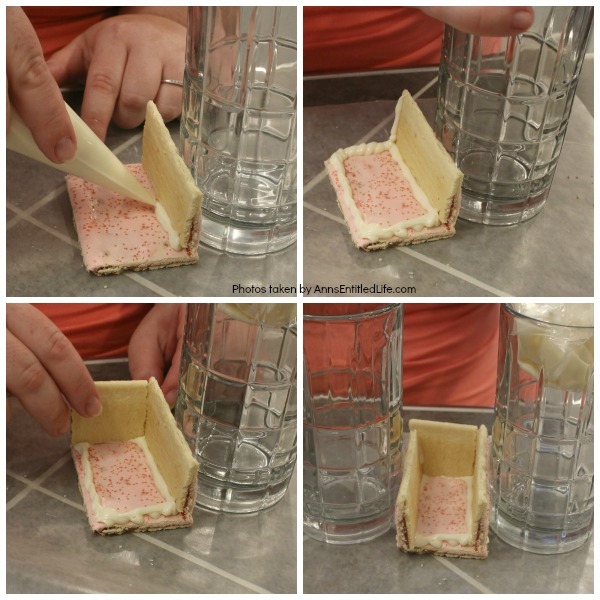 By doing this, your sugar cookies will end up the same size. • Lay out wax paper on your work surface. • Place a cup of white chocolate melts into a bowl. Heat in the microwave for 30 seconds, stir. Heat in microwave for another 30 seconds; stir. Repeat a third time. Check the consistency of your chocolate. If smooth, do not heat further. If it still does not stir and drip smoothly, heat one more time. 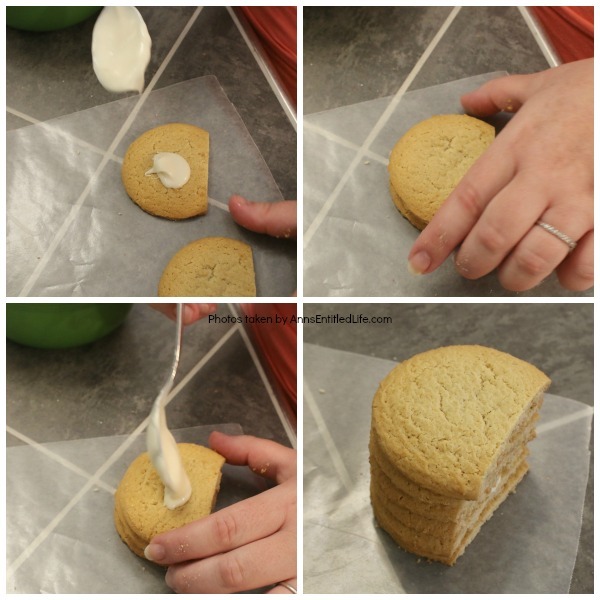 • Drop a dollop of melted white chocolate between each cut sugar cookie to “glue” them together. No candy on either end. • Place melted white chocolate into a pastry bag. 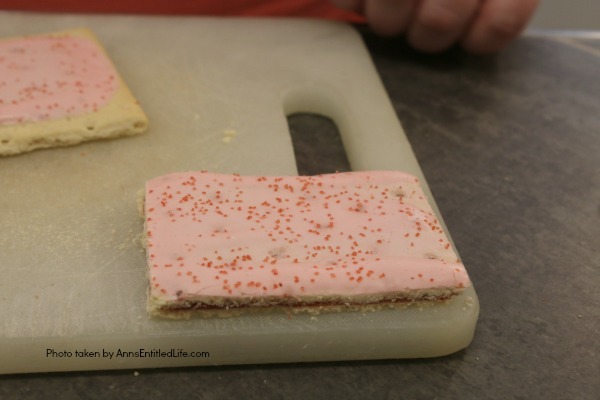 • Place down the toaster pastry that was trimmed on all four sides, unfrosted side down. • Place a line of chocolate down along the edge of the pastry. 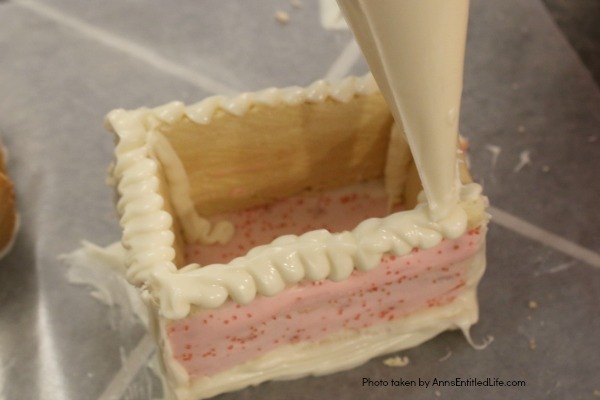 • Place one pastry for the long wall cut side down on top of the wet melted white chocolate. Use a glass to help prop it up until it had time to set. • Place the small toaster pastry cut side down on top of the wet melted white chocolate along the back. Use a glass to help prop it up until it had time to set. • Place one pastry for the other long wall cut side down on top of the wet melted white chocolate. Use a glass to help prop it up until it had time to set. 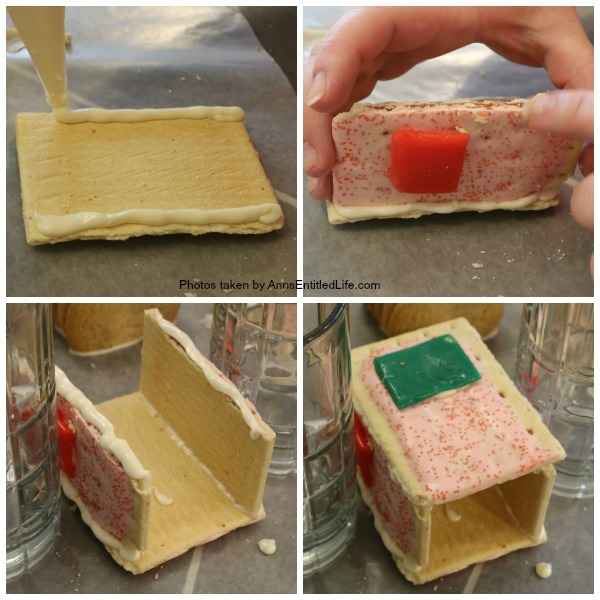 • Place some glue along the last small piece of toaster pastry and insert in the open space. You may be able to set it in like the rest of them, or have to do it this way. 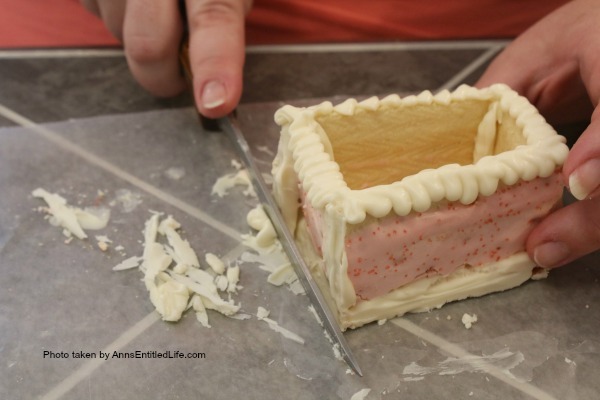 • Pipe some melted white chocolate into the inside corners. 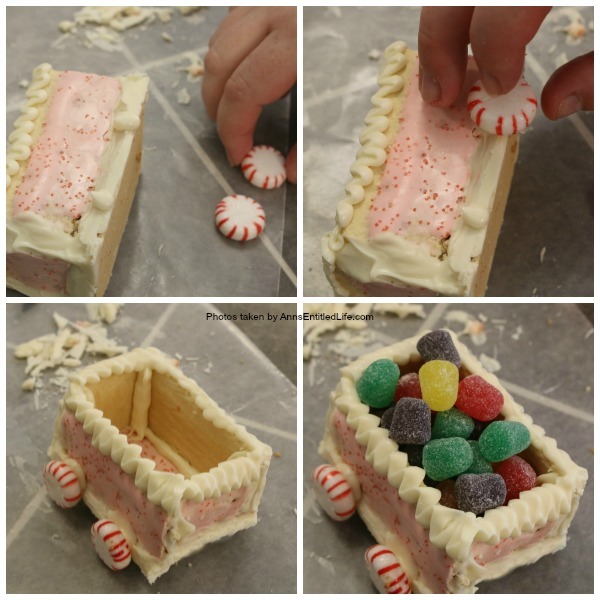 • Place a line of melted candy on all outside edges. You want to be sure everything is sealed. • Note: Do not worry about chocolate drips or splatters much, you can trim the edges up later (and will). • Using melted chocolate, attach the front window to an uncut toaster pastry’s frosting side. • Lay down the two cut side walls of the engine cab frosting side up. Dab some melted chocolate on the windows, attach to the side wall. You may want to make sure these are fairly even for the 3 pieces – or at least not hugely different in height when they are glued together. • Pick up the dry locomotive body and slather melted white chocolate on the bottom flat part. • Place on wax paper and allow to dry. • Attach the cow pusher using the mini fruits as so: ¼, ½, ¾, full, ¾, ½, ¼. • Attach lifesaver light with a dab of melted chocolate. • Attach peanut smokestack with the smaller piece in front of the larger piece (also with melted chocolate for glue). 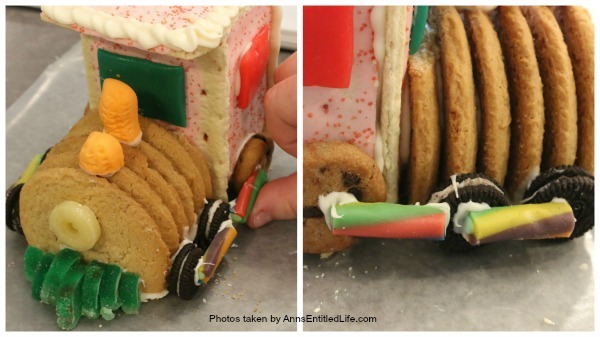 • Attach 2 small cookies on each side of the locomotive body. • Attach 1 licorice brace to “connect” the 2 small cookies. • Edge the top of the coal car with melted white chocolate. 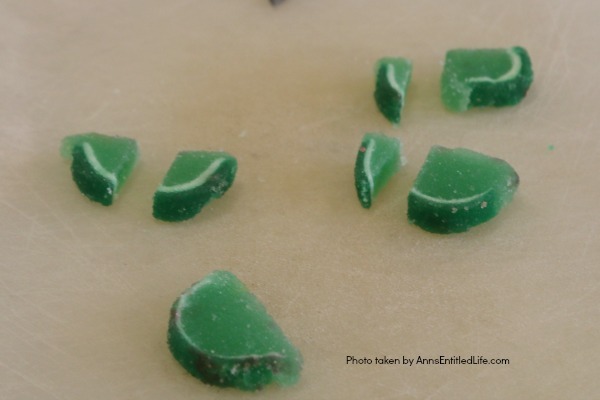 • When completely dry, lift off the wax paper and trim the bottom edges. • Lay an uncut toaster pastry side down. • Edge the long sides with melted white chocolate. 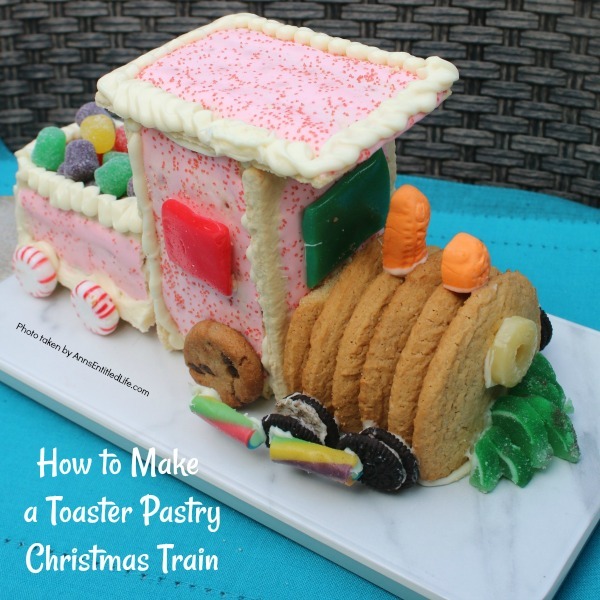 • Place one long cut toaster pastry down on the melted white chocolate with a window facing out. • Repeat on the opposite side. Use glasses to hold sides in place. • Place a line of melted white chocolate on each of the long sides, and place the front of the cab (window side out) on top of that. • Stand the cab up (windows should be high). • Line the top of the cab with melted with chocolate. • Place an uncut toaster pastry on top of that melted chocolate. • Edge the top to match the coal car. 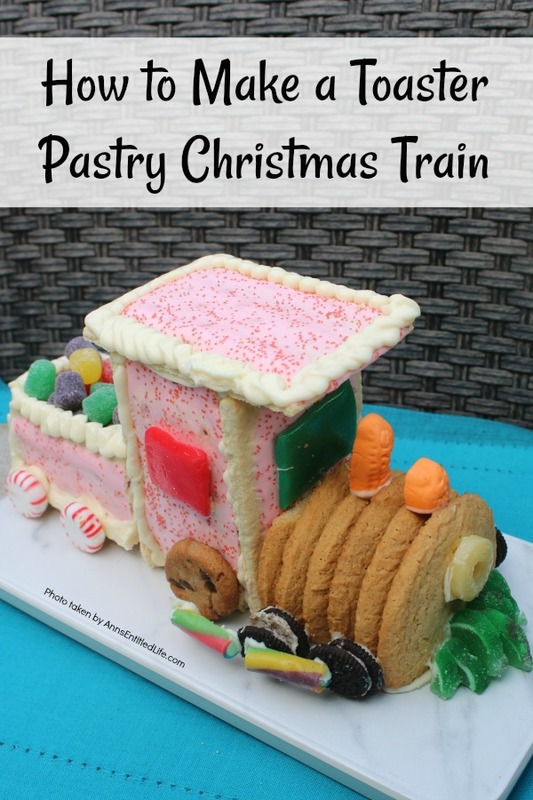 • Place the coal car on its side, and dab two spots of melted white chocolate. • Attach starlight candies for wheels. • Attach two small wheels to the cab. • Dab melted chocolate onto the back of the locomotive body. Attach to the cab. 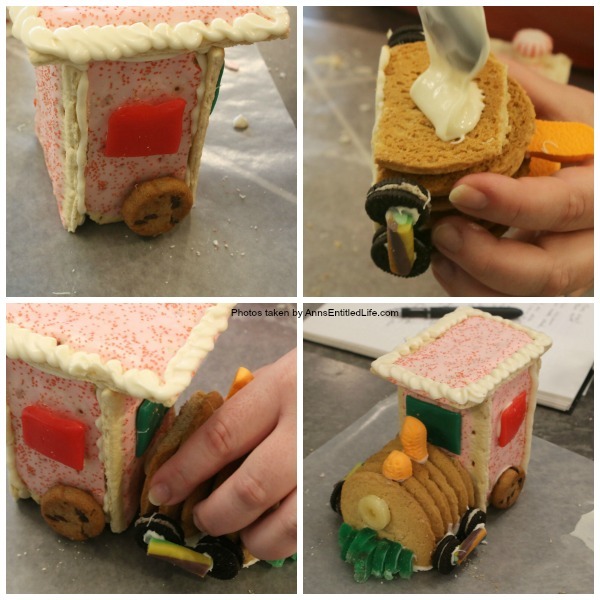 • Place a brace from the front wheels to the back wheels on the locomotive using melted white chocolate. • There are a ton of steps to this tutorial, but it is not at all difficult to make. The biggest concern is making sure you have melted chocolate, and that you allow all parts to dry. • This is SO cute in person! It went off to my nephew-by-marriage’s work and was a big hit. I think my nephew would love this! How cute, and such an original idea. Thanks for the step by step guide. 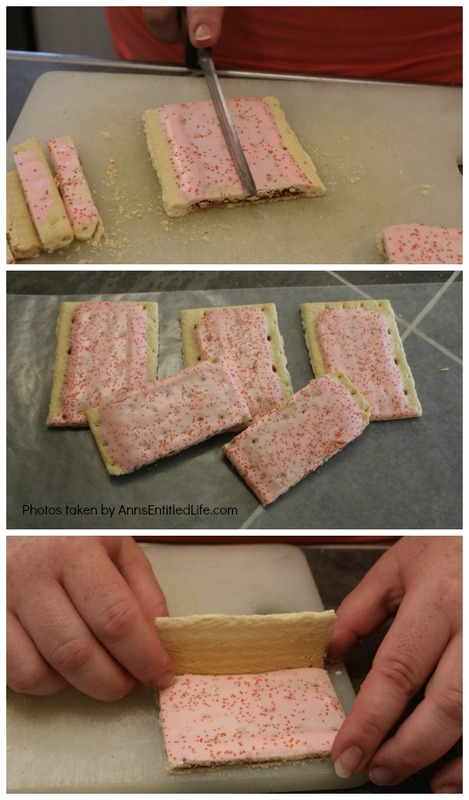 What a clever trick using pop tarts! They are the perfect Christmas Peppermint color! I love this idea! Thank you for sharing on Merry Monday! Hope to see ya next week!